Have you heard? FDA is going to initiate recalls and announce recalls to consumers. Technically, the FDA initiating a recall is not new, because FDA gained the authority to initiate a recall in 2011 with the signing of the Food Safety Modernization Act (FSMA). FDA has pumped out three new guidance documents on public notification of a recall. The last of the three, Public Warning and Notification of Recalls Under 21 CFR Part 7, Subpart C, Guidance for Industry and FDA Staff February 2019, was recently published. What is the Purpose of the February 2019 Guidance? FDA is communicating to industry and providing recommendations for its own staff for when they will initiate a recall and publish a public warning of a recalled food. FDA has seen, in rare cases, where there is not cooperation from the recall firm or there is slow announcing of a recall. FDA calculated the average time for a firm to announce a recall is four days; it is implied that four days is too long for hazardous food to be in commerce. FDA intends to work cooperatively with the recall firm. The FDA must first provide the responsible party with an opportunity to voluntarily cease distribution and recall the article of food. FDA gives the first opportunity for initiating and announcing a recall to the Owner, Operator, or Agent-in-charge. Infant formula recalls are mandated separately, but all food, ingredients and chewing gum are otherwise covered by the guidance. It’s not all bad news! For fiscal year 2018, there were 7420 recalls and 831 classified as a high risk. Since 2012, the 2018 numbers are the lowest number of recalls. What happened after 2012? February 2013 was the start of FDA uploading whole genome sequences to GenomeTrakr and the transition away from PulseNet which uses the method of pulsed field gel electrophoresis. The greater sensitivity of whole genome sequencing has led to more recalls. Given a head’s up on a pending report from the Office of the Inspector General (OIG), FDA created a team of senior leaders with oversight of recalls; the team meets at least weekly. Named Strategic Coordinated Oversight of Recall Execution (SCORE), SCORE expediated the process for suspending the registration of two facilities as of December 2017. This is where the E. coli hit the fan. The Food and Drug Administration’s Food-Recall Process Did Not Always Ensure the Safety of the Nation’s Food Supply, December 2017. The 2017 report published from the OIG found FDA failures in food recall practices. The OIG made a series of recommendations on how the agency might improve its management of recalls. FDA draft guidance [the January 2018 draft guidance is no longer available] on FDA’s policy and notification of recalled products and posting recalls to the FDA Enforcement Reports was published to assist the food industry in working with FDA through a recall. Food, drug, or device intended for human or animal use; cosmetic and biologic intended for human use; tobacco product; and any item subject to quarantine regulation. Radiation emitting electronic products are not covered. 1. Sunland peanut butter sold finished product containing Salmonella. 2. Kasel dog treats recalled after Salmonella found. 3. Triangle Pharmanaturals’ kratom dietary supplements contain Salmonella. If you do not voluntarily cease distribution and conduct a recall in the time and manner described in this section, FDA may, by order, require you to immediately cease distribution of the affected pet treats. FDA Draft Guidance, Public Availability of Lists of Retail Consignees to Effectuate Certain Human and Animal Food Recalls Guidance for Industry and FDA Staff September 2018, was the first of three guidance documents published by the FDA. If known, FDA will notify the public of stores where recalled food was sold. Retail consignees include grocery store, pet food stores, convenience stores, but not restaurants or distributors. We’ve already acted on these draft guidances. I had previously heard that FDA was acting on a different unpublished draft guidance document, but here I saw it in print. It is not clear if the FDA is working from the published draft guidance shared with the food industry or from unpublished, draft guidance documents. The second guidance document was published: Questions and Answers Regarding Mandatory Food Recalls: Guidance for Industry and FDA Staff, November 2018. The Q & A addresses three questions. 1. When will the FDA publicize retail consignee lists? For notification by FDA and in most cases, the retail packaging will make recalled food difficult to identify, and the food will be likely to still be in homes or stores. For example in the spring 2018 Romaine lettuce recall, much of the Romaine was beyond its shelf life and was not expected to be available in stores or homes by the time the recall was announced. From the Q & A guidance: There may be situations where both criteria are not met and FDA notifies the public. The FDA is not required to contact the firm before issuing a public warning or allow its review of the proposed statement. FDA may supplement or correct [the] warning. What information will the FDA provide? When FDA notifies the public of a recall, they wish to have information that help the consumer identify the product. Such information includes name of the food, lot or code dates, product description, photographs, geographic information, retail-related information, e.g. by naming the retail store chain, and potentially store specific information such as city and state. FDA will describe the risks and information about similar food that is not affected by the recall. FDA will state that the information may be under or over inclusive. How will the FDA publicize this information? FDA Public Warnings will come as a press release posted on the FDA website, alerts, and public notices by email, web or social media. Public notification of a recall is published in the weekly FDA Enforcement Report. The FDA Statement, Statement from FDA Commissioner Scott Gottlieb, M.D., on new steps to strengthen the agency’s process for issuing public warnings and notifications of recalls February 2019, and FDA Guidance, Public Warning and Notification of Recalls Under 21 CFR Part 7, Subpart C, Guidance for Industry and FDA Staff February 2019, detail the FDA’s current thinking on when FDA will notify consumers of a recall. Companies which do not cooperate with the FDA for a recall or communicate a recall slowly to the public may experience the FDA announcing a recall. ConnectFood can help you meet the requirement of the rule and be prepared for a potential recall. The ConnectFood website has free resources, and the folks at ConnectFood are here to help! Contact us. Dr. Kathy Knutson works nationwide with food manufacturers on recall investigations, problem-solving, training, and Food and Drug Administration (FDA) compliance. After being trained in 2016 as a Lead Instructor with the FDA-recognized curriculum for Preventive Controls Qualified Individuals, she has delivered over 20 workshops to the food industry. With 35+ years in microbiology and 15 years of full-time teaching, Dr. Knutson is passionate about training and is an active communicator at all levels of an organization. She has taught and consulted with companies on laboratory methods, interpretation of lab results, quality assurance, sanitation, environmental monitoring, Standard Operating Procedures (SOPs), Good Manufacturing Practices (GMPs), Hazard Analysis and Critical Control Points (HACCP) and the FDA’s Food Safety Modernization Act (FSMA). As a life-long learner, Dr. Knutson is trained in the prevention of intentional adulteration, a topic on the horizon for the food industry. Dr. Knutson is a contributing author at CannabisIndustryJournal.com. Dr. Knutson writes a food safety blog and contributes expert services to manufacturers through ConnectFood.com, an online site for writing HACCP and food safety plans. When Dr. Knutson is not traveling, she works from home in Green Bay, Wisconsin, where she lives with her husband, two sons, and an adorable Bernedoodle. Learn more about her at https://www.linkedin.com/in/kathyknutsonphd. February 27, 2019 /by Kathy Knutson, Ph.D. The world of HACCP (Hazard Analysis and Critical Control Points) versus Preventive Controls is an interesting conversation we are seeing at ConnectFood.com and across the entire food industry. FDA has trained hundreds of inspectors in Preventive Controls for Human Food and there are thousands of Preventive Controls Qualified Individuals (PCQI’s) across the country and the world. There are tens of thousands of HACCP trained individuals. I have used the analogy that food safety best practices are like a sport; the more you train and the more you focus on “basics done well,” the better your plan will be on a day-to-day basis. The focus is making the food supply safer. This does not mean that HACCP is not valid, as a matter of fact HACCP and Good Manufacturing Practices (GMP’s) should be looked at as the foundation of Preventive Controls for Human Food. Local departments of public health still rely on HACCP as their main line of defense for the food safety industry. We have seen so many small processors and restaurants that have inspections at which HACCP is still the focus, even though Preventive Controls has some more advanced techniques for protection. “HACCP: A systematic approach to the identification, evaluation, and control of food safety hazards. HACCP Plan: The written document which is based upon the principles of HACCP and which delineates the procedures to be followed. HACCP System: The result of the implementation of the HACCP Plan. HACCP Team: The group of people who are responsible for developing, implementing and maintaining the HACCP system. Hazard: A biological, chemical, or physical agent that is reasonably likely to cause illness or injury in the absence of its control. The fundamental principles of HACCP come through in Preventive Controls with some additional areas to focus on as we enhance our food safety plans. Hazard analysis: The first step is hazard identification, which must consider known or reasonably foreseeable biological, chemical, and physical hazards. These hazards could be present because they occur naturally, are unintentionally introduced, or are intentionally introduced for economic gain (if they affect the safety of the food). If the hazard analysis reveals one or more hazards that require a preventive control, the facility must have and implement written preventive controls for the identified hazards. Process controls include procedures that ensure the control parameters are met. Process controls can include operations such as cooking, refrigerating, and acidifying foods. They must include parameters and values (e.g., critical limits), as appropriate to the nature of the applicable control and its role in the facility’s food safety system. Food allergen controls are written procedures the facility must have and implement to control allergen cross-contact and ensure allergens are appropriately listed on the labels of packaged food products. Sanitation controls are procedures, practices, and processes to ensure that the facility is maintained in a sanitary condition to minimize or prevent hazards such as environmental pathogens, hazards from employees handling food, and food allergen hazards. Other Controls are controls that are not described above but are necessary to ensure that a hazard requiring a preventive control will be significantly minimized or prevented. Oversight and management of preventive controls: Once a facility has identified a preventive control for a hazard, the facility must make sure that the controls are being met. Monitoring: These procedures are designed to provide assurance that preventive controls are consistently performed. Monitoring is conducted as appropriate to the preventive control. For example, monitoring of a heat process to kill pathogens would include recording temperature values. Monitoring must be documented. Corrections: These are steps taken, in a timely manner, to identify and correct a minor, isolated problem that occurs during food production. Corrective actions: These include actions to identify and correct a problem implementing a preventive control, reduce the likelihood the problem will recur, evaluate affected food for safety, and prevent that food from entering commerce if you cannot ensure that the affected food is not adulterated. Corrective actions must be documented with records. Verification: These activities are required to ensure that preventive controls are consistently implemented and effective in minimizing hazards. Examples of verification activities include scientifically validating process preventive controls to ensure that the control measure is capable of effectively controlling an identified hazard and calibrating (or checking the accuracy of) process monitoring and verification instruments such as thermometers. Verification activities also include reviewing records to ensure that monitoring and corrective actions (if necessary) are being conducted. Verification activities must be documented. Product testing and environmental monitoring are also possible verification activities, required as appropriate to the food, facility, nature of the preventive control, and the role of that control in the facility’s food safety system. Environmental monitoring is required if the contamination of a ready-to-eat food with an environmental pathogen is a hazard the facility identified as requiring a preventive control. (2) the control will be applied in the facility’s supply chain. Facilities do not need to have a supply-chain program if they control the hazard in their own facility, or if a subsequent entity (such as another processor) will control the hazard, and the facility follows applicable requirements. Another entity in the supply chain, such as a broker or distributor, can conduct supplier verification activities, but the receiving facility must review and assess that entity’s documentation that they verified the supplier’s control of the hazard. In conclusion, HACCP and Preventive Controls are both food safety risk management systems. ConnectFood.com provides the ability for all facilities that handle or process food to create a plan depending on what the regulatory authority or a clients needs. Contact us and let us assist you in your food safety planning. The complaint alleges that an inspection of J and L Grocery that the FDA conducted in September and October 2018 revealed insanitary conditions including multiple live and dead rodents, rodent nesting, live racoons, live cats, a dead possum, animal feces, and urine-stained products in and around the company’s seven warehouses and sheds used to store food, medical products and cosmetics. (6) maintain accurate recall data in the RES. Remarkably, FDA agreed with the findings and started addressing the deficiencies before the final report was published. FDA was given more authority under the Food Safety Modernization Act (FSMA). My previous blog post described the first uses of FDA’s FSMA authority, including the first mandatory recall for a dietary supplement, kratom. The guidance further outlines how the FDA will give the responsible party an opportunity to conduct a voluntary recall before ordering a mandatory recall, as the law requires. It offers more detail about the evidence or circumstances the FDA may consider when deciding to move forward with a mandatory food recall and provides clarity around situations when the FDA would deem a food product a serious health risk. Providing this additional clarity can enable the FDA to make more robust use of this recall authority. Recalls are stressful situations. 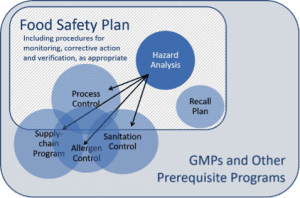 The Preventive Controls for Human Food rule under FSMA requires a written recall plan. ConnectFood can help you meet the requirement of the rule and be prepared for a potential recall. The ConnectFood website has free resources, and the folks at ConnectFood are here to help! Contact us. 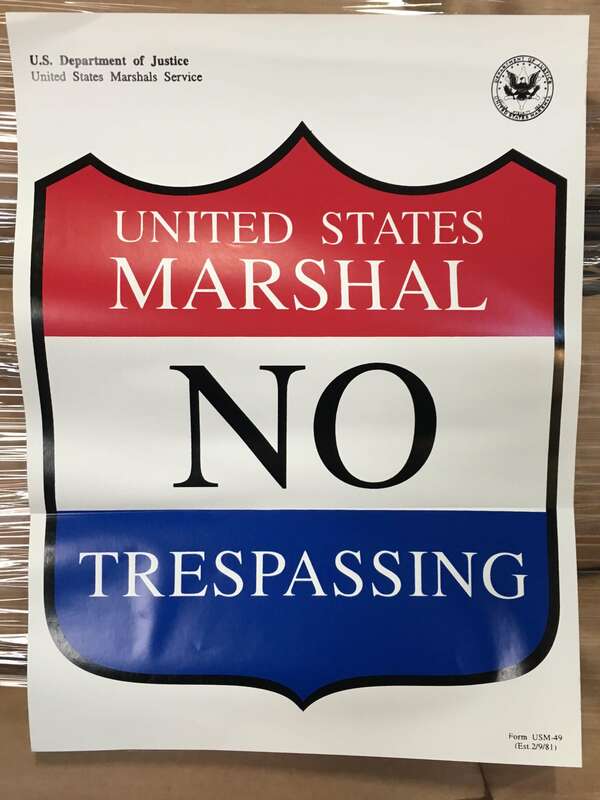 From Dr. Kathy Knutson, a photo from the U.S. Department of Justice, Marshals Service. November 14, 2018 /by Kathy Knutson, Ph.D.
As a high school teacher in Chicago, in a past career, I was on a school bus headed south to the university campus of Champaign-Urbana, riding through the flat cornfields of Illinois. One of my students pointed out the window and asked, “Dr. Knutson, what are those… factories over there?” My reply was, “that is a farm.” In light of the new FDA guidance, the question is valid. Do on-farm processing steps change a location from a traditional farm to a factory? My previous blog post started with the definitions of supplier, receiving facility, and farm mixed-type facility. Farms are not required to implement a food safety plan, and farm mixed-type facilities have been under enforcement discretion while FDA figures this out. FDA took a giant step in sharing their current thinking on the definitions of produce covered by the Produce Safety rule and the Preventive Controls for Human Food rule. FDA recognizes the variety of produce grown on farms and approaches to building in food safety. Farms with an annual average revenue under $25,000 are exempt. This makes sense from a public health view. Small farms are not going to cause wide-scale harm, in general. There are other exemptions for farms with an annual average revenue above $25,000 and based on how much is sold directly to customers through a farm stand-like store, local grocery store or restaurant. Another exemption is based on the sale of other products like hay or wine. For farms that don’t know where they fall, my advice is to ask an accountant and attorney to interpret the farm’s sales of commodities regarding the rule. See COVERED FARMS. Produce is the edible portion of fruits and vegetables for human consumption. Produce grown for animal feed or other uses is exempt from the Produce Safety rule. Grains are exempt from the Produce Safety rule because grains are always going to be further processed. Produce that is rarely consumed raw (RCR) is exempt from the Produce Safety rule. Examples include potatoes and beans. Don’t worry about your backyard garden. Produce that is grown for personal use or on-farm consumption is exempt from the Produce Safety rule. The bottom line is that as soon as produce is processed in any way to make it a new food, the activity is under the Preventive Controls for Human Food rule. Most of us understand that roasting of nuts is a processing step that requires preventive controls to create a safe product. The same is true for making bags of chopped lettuce and sliced apples. These raw agricultural commodities (RAC) have been changed into processed food, and processed food is under the Preventive Controls for Human Food rule. Until now, FDA has been hands-off on processing of RAC on the farm. If processing is done on a farm in a farm mixed-type facility, the process is under the Preventive Controls for Human Food rule. The facility must have a written hazard analysis, implement a food safety plan, and have a Preventive Controls Qualified Individual (PCQI). The FDA is seeking comments on their published guidance for farm mixed-type facilities. In some ways, the FDA guidance seems like too much. Do we really need this for farms? Then I am reminded of Salmonella outbreaks from cantaloupe. In one outbreak the melons were only washed as a processing step, but in such a way as to not remove or kill pathogens. The outbreak covered 28 states with 143 hospitalizations of 147 documented cases. There were 33 deaths. Yes, we need this. “If you’re a farmer or anyone processing food whose company is interested in using ConnectFood to write or compile your food safety plan, check out our Enterprise tier. This Enterprise-level subscription allows you to experience full systems management, including having multi-facility supplier management, multi-facility records management, and direct access to food safety experts.” – Matthew Botos, CEO. The ConnectFood website has free resources, and the folks at ConnectFood are here to help! Contact us. November 7, 2018 /by Kathy Knutson, Ph.D. Insight into FDA’s Fresh-Cut Produce Draft Guidance: What is a Farm, Farm Mixed-type Facility, or Receiving Facility? As Romaine lettuce is planted in Arizona, the FDA has overwhelmed the produce industry with draft guidance documents. When the Food Safety Modernization Act (FSMA) was signed in 2011, the importance of growing, harvesting and processing of fruits and vegetables was recognized as the start of food safety for the familiar term of farm-to-fork. One of FSMA’s foundational rules is the Produce Safety rule. Today we deviate from the traditional focus of the ConnectFood blog at the middle step of the Preventive Controls for Human Food rule to start at the very beginning where crops are grown. As a Lead Instructor grounded in the latter rule, I have presented dozens of times the difference between a farm as a supplier and a food factory as a receiving facility. In the simple world of instruction those two are obvious. Consider a farm that harvests melons and then washes the melons. Is the location of washing considered a farm and under the Produce Safety rule or considered a receiving facility and under the Preventive Controls for Human Food rule? I don’t want to leave you hanging; I identify the washing facility as a receiving facility and subject to the Preventive Controls for Human Food rule. FDA has made my choice clearer with their guidance documents. Across the nation and internationally there are hundreds of examples of farms harvesting a crop and then another step being applied, before the fruits or vegetables reach a traditional food factory. FDA has done a momentous job in publishing draft guidance for the farm and food industries. See my resources listed below. In keeping with starting at the beginning, key definitions are discussed here. Supplier: the farm that grows the crop or raises the animal. A supplier to a food factory can in turn be a food factory, e.g., when a food factory purchases dried ingredients. For the purpose of discussion here, the supplier is a farm that grows a crop. Receiving facility: food factory that receives the crop and registers with FDA as a facility that processes, manufactures, packs or holds food. The draft guidance documents are FDA’s current thinking on the definition of receiving facilities that handle crops. Facilities which in the past have been considered farms must now register as a food facility. Farm mixed-type facilities: this is the location of the next step after harvesting, but before getting to a traditional food factory like a spaghetti sauce manufacturer. FDA looks at processing, packing and holding. For example, located conveniently to fields are packing houses. In our grocery stores, we find fruits and vegetables that have been washed and chilled, sorted and packed into wrapped trays, mesh bags or boxes. Those steps are considered processing. In the past, FDA has left farm mixed-type facilities as farms, and now FDA sees farm mixed-type facilities as receiving facilities under the enforcement of the Preventive Controls for Human Food rule. This is a big change and will cause hundreds of facilities to register as a food facility, implement a food safety plan, and have a trained Preventive Controls Qualified Individual (PCQI) to oversee food safety. In my next blog post, read about different types of produce and exemptions from the rules. Matthew Botos, CEO of ConnectFood, and the whole Expert Services team can guide you. The folks at ConnectFood are here to help! Contact us. October 31, 2018 /by Kathy Knutson, Ph.D.
https://connectfood.com/wp-content/uploads/2018/10/shutterstock_409633858.jpg 4912 7360 Kathy Knutson, Ph.D. https://connectfood.com/static/graphics/ConnectFood_logo_food_safety_plans_made_easy-300.png Kathy Knutson, Ph.D.2018-10-31 18:06:022018-11-27 17:22:45Insight into FDA’s Fresh-Cut Produce Draft Guidance: What is a Farm, Farm Mixed-type Facility, or Receiving Facility? Each of these areas is define as a key requirement and we will walk through some of the basics included. A comprehensive overview can be found at https://www.fda.gov/food/guidanceregulation/fsma/ucm361902. ConnectFood.com is not here to interpret guidance but is here to help food manufacturers and importers on their journey towards a globally safe food supply. The scope covers making sure that an importer understands the responsibility of food safety. The importer must collect the information that they will have to provide regarding the safety of incoming products. The companies that are shipping products into the country must have food safety plans for the incoming products that matches the current standards of preventive controls and produce safety. The scope is not a simple process and it requires detailed information reaching into countries across the globe. The importer must understand what reasonable hazards are like likely to occur in a food and make sure that these hazards are addressed by a food safety plan and controls. The importer does not necessarily have to “do” the hazard analysis but must be able to review the documents that have been done by a qualified individual assuring the safety of the food. Ultimately the importer is the gatekeeper of food safety for products that are coming into the country. An importer must be confident that that a supplier is doing the right thing and has a food safety plan that has analyzed hazards and controlled them. There different ways to go about this including annual audits by a qualified individual, sampling and testing. Review of the food safety plan by outside experts and the supplier. If something happens that is outside of the food safety plan the issue must be evaluated and decided if the product is a danger to the consumer. When this happens it must be decided what to do with the product and how much product was adulterated and where that product is in the supply chain. This will also impact if the supplier should continue to be used by the importer. The exemptions are listed on the FDA website and should be reviewed; however, it is our viewpoint that all products should have GMP’s and a food safety plan. Some of these exemptions could include the size of the establishment or the type of product being supplied such as dietary supplements but all of these products must be evaluated by the importer and compared with the FDA requirements. The FSVP rule requires information about importer and the products that are coming into the country so that if there is an issue it can be stopped and contained before there are any human health issues. Below is some of the information from the FDA. • The final FSVP rule requires that an importer provide its name, electronic mail address, and unique facility identifier (UFI) recognized as acceptable by the FDA for each line entry of food product offered for importation into the United States. • The FDA has recognized the Data Universal Numbering System (DUNS) number as an acceptable UFI for FSVP. • DUNS numbers, assigned and managed by DUN & Bradstreet, are available free of charge to importers by visiting FDAdunslookup.com. In conclusion, the FSVP Rule is set up so that there are checks and balances for the importers and the companies that are supplying them from all over the world. The FSVP requirements are right in line with the rest of the Food Safety Modernization Act that is assuring the safety of consumers and protecting the safest food supply in the world. Remember, as an importer you must understand risk associated with the products coming in and understand what is being done by the supplier to control any hazards. It is the importer’s job to set up a system that complies with the above points. ConnectFood is here to help. Contact us. Looming on the FDA horizon is the enforcement of the last of seven foundational rules in the Food Safety Modernization Act (FSMA). Intentional adulteration, commonly called food defense, is the deliberate addition to an ingredient or food of a hazard to cause illness or injury which makes the food adulterated. This criminal act could be the work of an outside group or individual who gains access before an ingredient crosses the perimeter of your facility and is delivered at Receiving. Thinking inside the box requires you to consider the access of a disgruntled or temporary employee from Receiving through to the sealing of packaging, i.e. an inside job. Addressing both perspectives is required. The deadline is July of 2019 for businesses with more than 500 employees. The description of the first companies to come under enforcement aligns with the PCHF rule. In July of 2020, small businesses with an annual revenue of $10,000,000 come under enforcement. You can see where is says ten million here. Yes, that means that businesses with an annual revenue under $10,000,000 are defined as very small businesses by FDA and are exempt from requirements other than providing documentation of the very small business status. The very small business exemption aligns with the PCHF rule. I have written more on the food defense rule in a previous blog post on ConnectFood. Businesses with more than 500 employees are writing their food defense plan. Quality managers schooled in Hazard Analysis and Critical Control Points (HACCP) will see the parallel of steps in a vulnerability assessment to the hazard analysis process in HACCP or PCHF. However, a food defense plan and program have completely different outcomes compared to food safety. Your food safety team may not be the right people to address food defense, so now you have another team, and most companies bring in food defense experts for a fresh pair of eyes and their experience. I have previously written about resources for food defense. I teach a one-day workshop on food defense. My recommendation is to bring on-site a food defense trainer and consultant for one day of training with your cross-functional team, followed by two days in the facility for a vulnerability assessment with the food defense team leaders-no more than three people. Our own Matthew Botos, CEO of ConnectFood, is an excellent source of information on food defense. “Any supply chain has the potential of being vulnerable from a multitude of unstable individuals who have both the operational capability and the behavioral resolve to inflict damage on products, people, or facilities. We have the most sophisticated and safest food supply in the world and FDA is only trying to bolster that with their continually proactive regulations. Companies need to not only look after food safety in a traditional sense, (look for hazards and protect the consumer) but also look at non-traditional methods that may impact the safety of the food supply. ConnectFood stands ready to help companies and protect people.” – Matthew Botos, CEO. Food defense plans are facility-specific. My recommendation is that you choose one site from your company and completely finish its food defense plan. Once the team has learned the process, you can get the other sites started and either bring in the trainer again or create a corporate food defense team that goes to each of the sites to implement food defense with the local team. Because this is the first time that your food facility is required by FDA to address food defense, be prepared for large investments in monitoring of employees, capital expense, or reconstruction. One company I worked with is way ahead of the curve on food defense, yet I left them with a long action item list following one day of training and one day of touring the facility to identify vulnerabilities. We needed another day. After the company completes the action item list, I will review their draft food defense plan. To get started on your food defense plan, FDA has publicly available and free documents. Go to the webpage for FSMA Final Rule for Mitigation Strategies to Protect Food Against Intentional Adulteration. You want to start with the Fact Sheet and the Explanatory Diagram. The Question and Answer document is good. Scroll down to the questions on Intentional Adulteration, because the Q & A covers all FSMA rules. When you are ready, go through the first Guidance document. Others will be published through this next year. Matthew, the other ConnectFood food safety experts, and I can guide you through the system using the Expert Services; the folks at ConnectFood are here to help! Contact us. October 3, 2018 /by Kathy Knutson, Ph.D.
For many, change can be daunting. This includes the new FDA Sanitary Transportation of Human and Animal Food Rule. With increasing regulations, such as with the implementation of Electronic Logging Device (ELD), transportation companies are wondering what impact will this new rule have on the bottom line and operations. Fortunately, the changes that have come about since the 2005 Sanitary Transportation of Food Act, provide more flexibility and a preventative scope on top of the existing industry’s best practices. The FDA’s Food Safety Modernization Act (FSMA) final rule on Sanitary Transportation of Human and Animal Food’s foundation is a “risk-based” model for food safety, clearly defines who is covered by the rule, and highlights certain preventative operational areas that help to ensure product food safety, such as temperature, is being maintained throughout the course of transport. The final compliance date for most businesses, barring any waivers, are upon us. We have provided a few bullet points of those requirements that are now being monitored to help you implement an improved food safe environment. ● The final rule establishes clear definitions of the transport role you play in transport. Those identified are Shippers, Carriers, Loaders, and Receivers. Some of the operational guidelines also will enhance and impact cGMPs (Current Good Manufacturing Practices) and SOPs (Standard Operating Procedures). Since, businesses can play multiple roles, a food safety plan should state each of these. ● FDA states “any movement of food in commerce by motor vehicle or rail vehicle,” all Transport Operations, Vehicles, and Transport Equipment are subject to the requirement. ● Temperature monitoring operations for foods are now required for temperature control safety. Thus businesses need to be able to provide temperature maintenance documents upon request. Clearly, these requests are becoming more prevalent and you should be prepared to show evidence for your clients. ● Training certificate and internal training programs are a few ways that businesses can illustrate compliance for training employees on food safe handling practices. ● The final rule requires maintenance and retention of records of written procedures, agreements, and trainings have been completed. Procedures should include ways to address pre-cooling, prior cargo handling (post), and vehicle/transport vehicle cleaning records. Cleaning, sanitizing, and inspecting of vehicles and transport equipment procedures must be written and maintained. Retention length depends upon the type of record and when the activity occurs. Raising the bar for food transport adds to the increasing awareness that improved food safety transport systems strengths the diverse and complicated food procurement system. Creating a Sanitary Food Safety plan is a great way and first step for some to help your company meet many of these new requirements and ease the burden of compliance. Tools, such as ConnectFood, provide a resource for templates, models, and a framework to develop your own plan in short period of time. Best of all, all records can be maintained for ease of access for your client and the regulatory bodies. If you need further assistance, experts are available as well. As always, ConnectFood is ready to help. A transportation plan guidance is available on the ConnectFood website, and a template with information is available to be loaded for your company upon request. Contact us. Dave Seddon, MBA RD LD (PEAKCORE, a ConnectFood Partner) is a food safety consultant with 25+ years of financial, operational, and managerial experiences in for-profit and non-profit organizations. He is well versed in food safety, SQF, HACCP, operational control, business development, entrepreneurship, M/A, risk analysis, and ERP/system implementation. Dave is a ConnectFood partner as part of the Expert Services. Back in November of 2016, we released a blog entitled “What is the Food Safety Modernization Act?”, which began our continuous discussion of FSMA. For the past few months, ConnectFood has been releasing blogs that touch upon the topics most relating specifically to the safe production and hazards around human food. For example, we discussed every aspect of record management regarding safe production, documentation, logs and records, and food safety plans. (Part 1, Part 2, Part 3, Part 4, Part 5, Part 6) We also discussed the importance of practicing mock recalls and the more specific and intimate details of recall planning and writing your food company’s recall plan. Whether you are a food manufacturer, a distribution plant, a restaurant, small food producer, or anything in between, your facility or kitchen must be compliant with FMSA regulations. You should assume that an FDA Inspector will arrive to perform an audit on your facility at any time, on any day of the week. Sometimes, these visits are scheduled, but often, you should be ready for a surprise. Get ready to hand over your required documentation, explain your processes, justify your Good Manufacturing Practices (GMPs), and most of all, get ready to be expected to implement some changes. As you know, ConnectFood talks about human food constantly, but there is equal importance in making sure our pets are fed safely. Let’s not forget our furry friends in our safety planning. Check out the FDA’s final rule fact sheet here until we release our blog on the subject. Intentional Adulteration is not a topic to skim through – we will be having our own Kathy Knutson, Ph.D., PCQI, (who is trained in the prevention of Intentional Adulteration) write a post focusing solely on the topic. Until you get to read her writing on the subject, take a read through of the FDA’s webpage here. All of this information may be overwhelming no matter if it is old news or fresh news. As always, if you have any questions regarding FSMA and how it relates to your food company, the team at ConnectFood is always here to help. Don’t hesitate to reach out for help if you need it. The time for compliance is the present – don’t be caught without a FSMA-compliant food safety plan in place. Contact us. Johanna Seidel is an administrative member of the ConnectFood team, where she works as manager of operations and manager of social content. Johanna received her Preventive Controls Qualified Individual (PCQI) certification in November of 2017. She received a Bachelor of Fine Arts Degree upon graduation from West Texas A&M University in May of 2016. When she is not working with food safety experts, Johanna also works as a dance instructor for The Chicago School of Ballet, as well as a professional contemporary dancer in the city of Chicago.